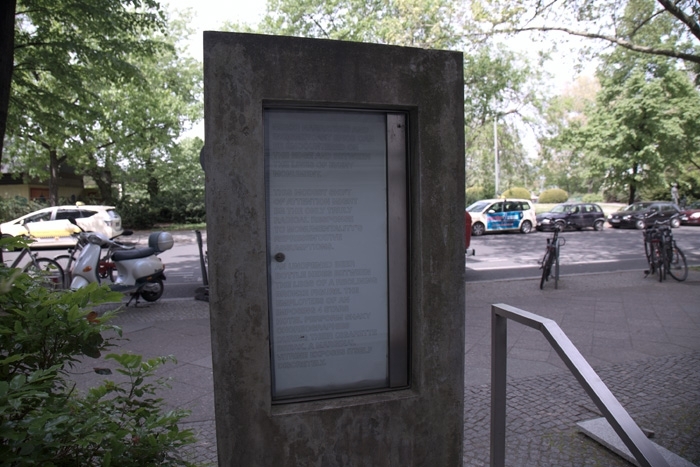 Monuments are Small Ideas is a minimal intervention for a specific site: a concrete vitrine in front of a Berlin museum, whose original function has been abandoned. Three of the four windows are frosted and display nothing more than basic information about the museum (opening hours, etc.). Borrowing from this visual language, a text on translucent paper has been inserted in the last window, definitively obscuring any possible contents. 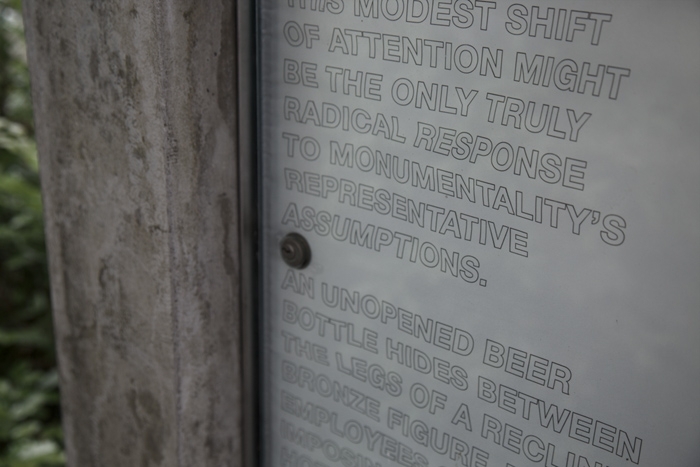 The text invites displacement of attention to the vitrine's context and, by extension, to the tiny details and anecdotes surrounding every monument, be it a museum, a bronze figure or a hotel complex.